Ready to build the home of your dreams? Cyprus Credit Union can help. 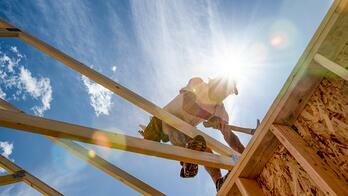 Your time is valuable and that's why we offer construction loans and permanent financing in one easy application. Our experienced advisor will work alongside you and make the process quick and easy. If you are ready to build but aren't quite ready for a construction loan, we offer competitive rates and terms on improved property. We will lend you the money to update, remodel, or add on to your current home. Approval for these types of loans is based on “Finished Appraised Value.” Now you can get the new home you want with the same address and great neighbors you already have. To contact our Construction & Lot Loan Advisor, call (801) 260-7600 ext. 5331 or email ddarke@cypruscu.com.